Welcome aboard my world exploration site !!! I'm Yann, I'm travel to wild lands enthusiast, and especially the Arctic. I have lived in Courchevel since 1992. I was born in the French Alps and have always lived there. I have been a mountain leader for 25 years, mainly at the head of my corporate “Azimut Rando “. So, I have created and been in charge of snowshoe outings, mountain hikes, and ​I have conceived and organised evenings in igloos for ten years. 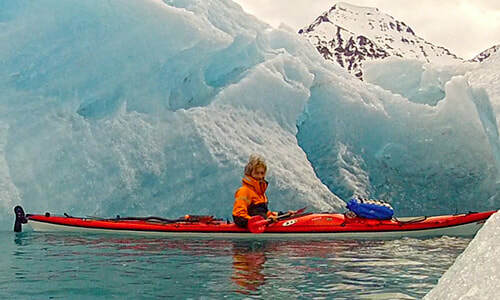 I enjoy travelling around the Arctic, over the last 12 years, with three wonderful expeditions: in Greenland, in Nunavut and the last in Svalbard. I'm curious about everything and I enjoy working and exchanging creative ideas, where each person has their importance. I still have my backpack ready to explore a part of the world.